Combine flour, cocoa powder, sugar, baking powder, baking soda, salt and cinnamon in a bowl. Stir pumpkin, vanilla, milk, egg and yogurt into the dry mix. Allow muffins to cool for 5 minutes and then remove to a wire rack to cool further. 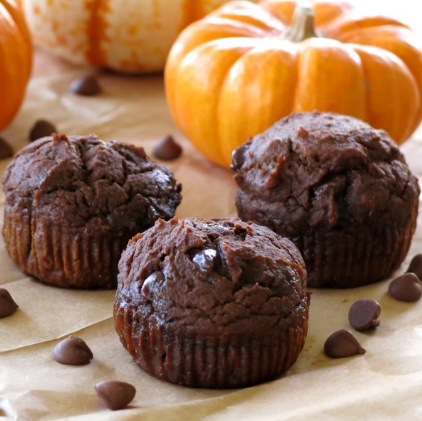 0 Response to "Healthy Chocolate Pumpkin Muffins"